Chief of staff Lars Benson speaks during Wednesday’s Senate. The Weinberg junior introduced changes to residential districts that were approved by Senate. Associated Student Government Senate amended its Code on Wednesday to change the apportionment of residential senator seats. The new districts will account for the opening of 560 Lincoln and the re-opening of Willard Residential College. The proposal, authored by chief of staff Lars Benson, includes a number of changes to the current residential districts. The changes will go into effect next academic year. There are 15 residential senators in total to represent students living in on-campus dorms. Seven residential districts are grouped together based on population and location. Among the changes was a revised district 4 to include the Foster-Walker Complex and Hobart House. Weinberg freshman Mary Pedraza introduced an amendment to move Hobart, which houses about 50 students, into district 3. “The rest of the southwest people have less than 100 people living in their dorms, so putting Hobart in a district with 582 students already doesn’t make any sense,” she said. 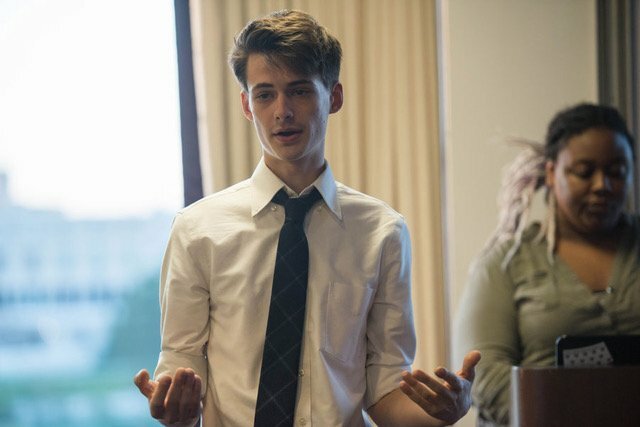 After a debate, senators voted to pass Pedraza’s amendment and move Hobart into district 3, which includes a number of smaller residence halls and colleges. District 4 will now be made up entirely by Foster-Walker. After the amendment was passed, Weinberg junior Freddy Levenson introduced an amendment to repeal Pedraza’s amendment. He said redistricting should be consistent across the board. Earlier in the meeting, residential senator Gabrielle Bienasz said she felt senators wanted to maintain the “status quo” and not make many changes to the way seats are apportioned. Senate also approved funding for B-status groups, a week after doing the same for A-status groups. No groups attended Senate to ask for additional funding.